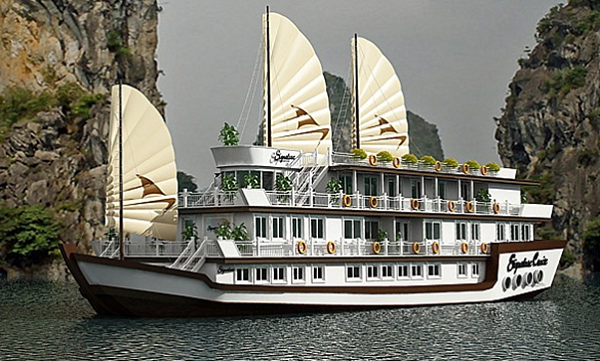 Signature Cruise boasts the largest cabin sizes among all cruises in Halong Bay and has a surprising small number of cabins suitable with its giant size. 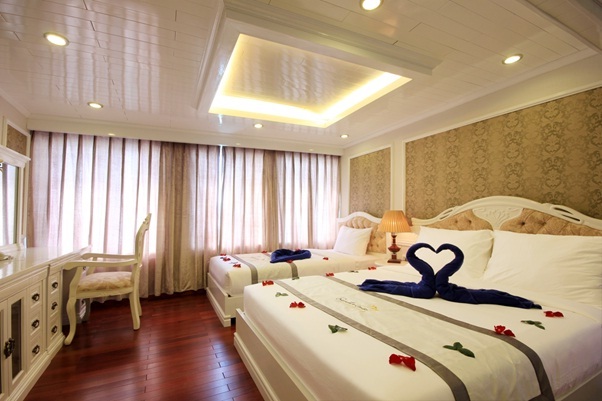 All cabins decorated with luxurious interior and equipped with modern amenities such as working desk, private jacuzzi and flat screen TV ensure to provide tourists with the highest quality. Signature Twin and Signature Deluxe Suites for 2 passengers, Elite Family Suites together with Exclusive Family Suits for small family with maximum capacity of 4 occupans are four kinds of cabins that Signature Cruise offers. 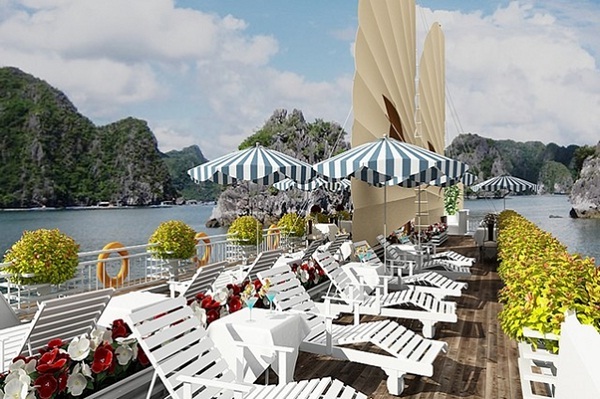 With all high-quality service and equipment such as air-conditioned suites come with parquet flooring, a wardrobe, available seating area and a flat-screen TV with cable channels and minibar included in French-inspired decoration, Halong Signature Cruise offers luxurious suites with spectacular views of the magnificent Halong Bay, a UNESCO World Heritage Site. 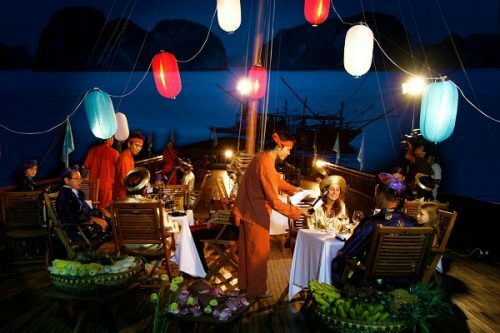 Signature Cruise also offers various interesting activities such as going fishing, snorkeling, kayaking with an additional charge and free Tai Chi lesson in the morning on the top desk for tourists to enjoy their best free time. Massage treatments are also available on request. 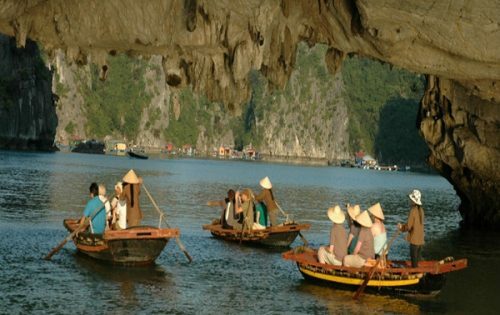 With friendly and passionate staff crew, who have been well – trained and are ready to provide you the best service, the Indochina Voyages is proud to be the pioneer in offering high – qualified service at reasonable prize. 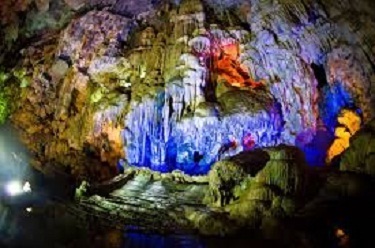 Come and enjoy with us.